The Duni Resort is situated some 12 km north of Primorsko, and 6km south of Sozopol in a cozy, shallow-water bay. The high-class resort is particularly targeted to foreign tourists. 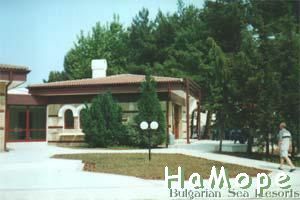 The construction of the holiday city was completed in 1987 as a Bulgarian-Austrian project.